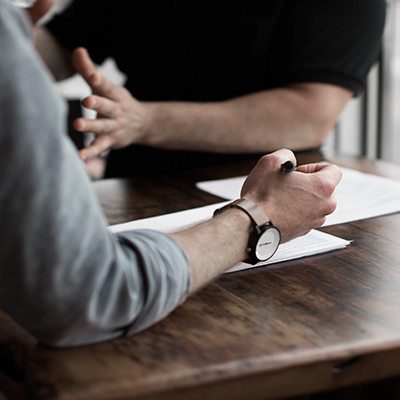 You may well be the perfect candidate, with all the skills to fill the position you’ve applied for, but if you’re not crafting an eloquent and cohesive CV, you might not even be considered. Finding a job is stressful, and more often than not you’re putting yourself out there, applying for numerous positions in the hopes that you’ll get a bite on the line and ultimately be invited for an interview. Whether you’re fresh out of university and have no prior work experience, or you’re making a massive career change, each jobseeker’s situation is unique and comes with its own set of obstacles. We sat down with Kim Fitt, Head of Acquisition at GetSmarter, a brand of 2U, Inc., who has over 20 years of experience in the industry, to find out what recruiters look for when considering your CV. 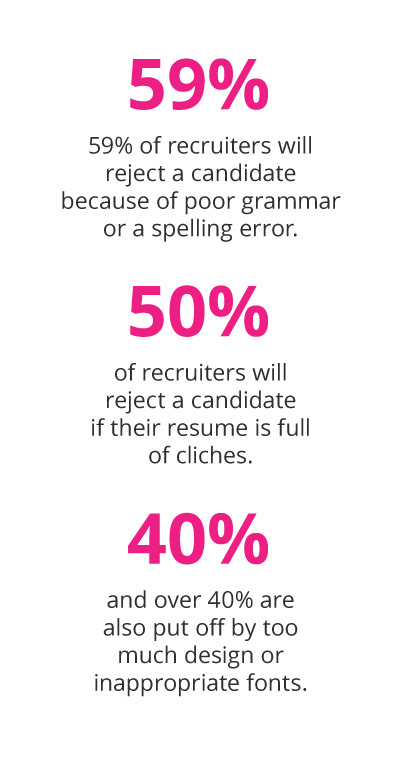 Some of the most common mistakes may seem hopelessly trivial, but when you’re up against tough competition, small grammatical errors or one spelling mistake could mean the difference between moving through the recruitment funnel or not. All hope is not lost though, we’ve summed up a list of techniques and strategies you can implement when creating or updating your CV. We can’t guarantee you’ll get the position, but you’re certainly one step closer than you were before. We asked Kim what real purpose a CV performs, and her answer was simple: it’s your one and only shot to showcase yourself. She discusses the difficulties people often encounter with this, describing the fear or coming across as arrogant or narcissistic. It’s time to leave those sentiments at the door. It’s awkward to talk about yourself, your capabilities and your accomplishments, but if you don’t, who will? Kim advises including a good, clear, head-and-shoulders photograph of yourself at the top of your CV. Opinions differ on this one; however, allowing a recruiter to put a face to a name can have its advantages. We’re predominantly visual beings, and a photo can allow for a more distinct connection between you and the recruiter. If you’re not convinced, we suggest doing research on the organisation you’re applying to and determining their culture before making a decision. Provide an overview of yourself, keeping in mind three important aspects to include: your experience, a timeline and your qualifications. Make it easy for a recruiter to understand who you are and what you could offer to the company. Add a personal touch to avoid creating a generic CV – Kim suggests not being afraid to mention details about your life. For example, if you’ve got children or you grew up in a different country, including that in your CV gives recruiters the opportunity to gain a holistic understanding of who you are as a person, and not just as a job applicant. Kim recommends keeping your CV as simple as possible, allowing a recruiter to find important nuggets of information quickly and easily. Too much variation on a CV is confusing and off-putting. Ensure you include easily-contactable, senior references, and make sure to brief your references beforehand. There are a number of handy CV templates freely available online. For first-time job applicants, Kim suggests building a portfolio of work and achievements. If tangible work experience is not an option, include any part-time jobs, hobbies or interests which work towards displaying your character. Alternatively, Kim notes the value from completing an online short course adds to your CV. Especially for those making a career change, an online short course is a great way to demonstrate your investment in yourself. Don’t oversell yourself, and most importantly, always tell the truth. Little more could hinder your chances at an opportunity than fabricated work experiences or accomplishments. Contextualise your movement from one company or position to another. Kim notes the difficulty recruiters face when considering CVs with large gaps in a candidate’s timeline. She adds that more often than not, after doing some research, she finds the explanations for gaps on a CV are easily understandable, and merely need to be mentioned to avoid any ambiguity. One last thing – remember to tailor your CV to the specific position and company you’re applying to. This shows commitment to the application and indicates you’ve done your research. Sloppy CVs will feature general information geared towards the application of many positions, which doesn’t look good to whoever’s viewing your CV. Kim suggests taking note of the role you’re applying for, if you’re looking for a job as a Graphic Designer, you could also use your CV as an opportunity to show some creativity. Gain the recognition you deserve with these online short courses from the world’s leading universities. 3 min Two years on, and Thomas is now working as a Recruiter at Africa's leading safari company Rhino Africa. 3 min Between artificial intelligence, remote working and the influx of Generation Z entering the workforce, it’s vital for organisations to keep up with workplace trends in order to remain successful.